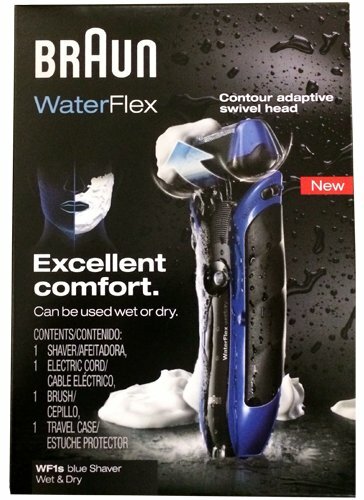 Fully waterproof; can be used in the shower, even with foam or gel. Pivoting shaver head for excellent adaptation around the jawline and under the chin. Braun's most advanced foil with ergonomically sized holes that cuts hair deeper than ever before and provides amazing closeness that lasts longer (compared to previous Braun foil shaver).